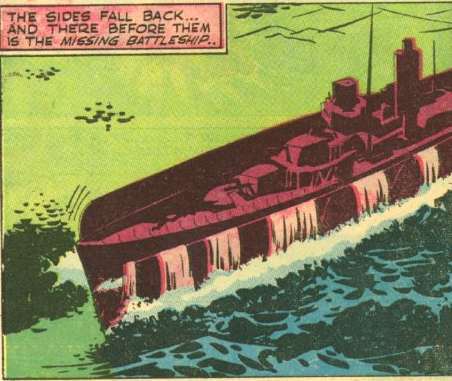 You know, as a video game nerd, I thought the submersible battleship in MGS4 was an amazing bit of design. But the comics got there sixty-odd years earlier. 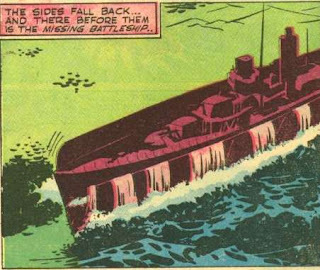 I'm still holding out for a ginormous dragon-shaped ship swallower as per an early G A issue of Captain America.